April 15, 2019 - A U.S. Army Reserve noncommissioned officer and his teenage daughter have been preparing tax returns for local Soldiers, veterans and community members at no cost since January. April 15, 2019 - The 316th Sustainment Command (Expeditionary) held a change of command ceremony at the Tech. Sgt. Vernon McGarity U.S. Army Reserve Center in Coraopolis, Pennsylvania, April 13, 2019. Col. John T. Johns, deputy commanding officer of the 316th ESC, relieved Brig. Gen. Robert D. Harter as commanding general. 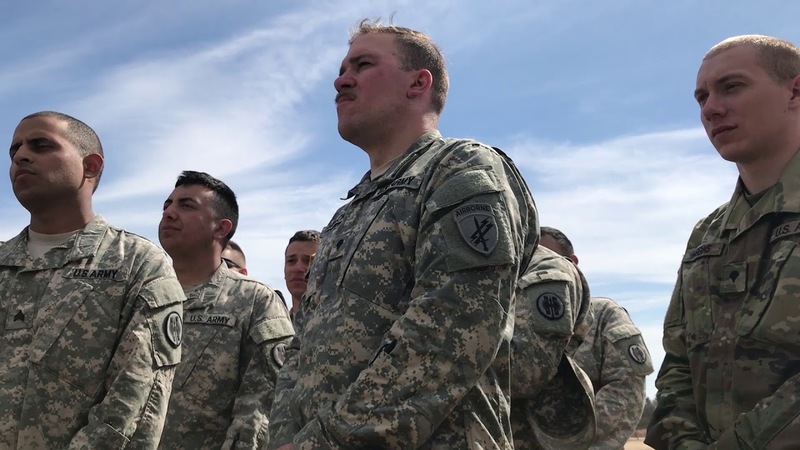 April 15, 2019 - Nearly 300 Army Reserve Sustainment Command Soldiers participated in the inaugural Contracting Operational Readiness Exercise-19 at Joint Base McGuire-Dix-Lakehurst, New Jersey, April 1-12, 2019.